Running is one of the most convenient of all sports. In fact, a pair of good running shoes is the only investment you have to make. Nonetheless, picking the right shoes is easier said than done. With the host of price points, shoe types, a dizzying range of styles and brand names, shopping for the ideal pair can feel a bit intimidating. This is especially the case if you’ve no clue what does it take to pick the right trainers. Today I’m sharing with you my full guide to selecting the right running pair. In fact, by the end of this post, you’ll learn all you need to know about the whole shoe fitting process. But first things first, why do you need a good pair of running shoes? The scientific link between running shoes and overuse injuries is still, surprisingly, a source of debate in the running community. In fact, this is not yet unsettled from a scientific standpoint. But all in all, I do believe in the importance of proper running shoes. I have written extensively about it in the past, and I’ll, most likely, keep writing about the subject in the near future. I hate to sound like a broken record, but investing in a pair of proper running shoes is vital if you are serious about keeping your runs consistent and enjoyable for the long haul. That’s why I highly urge you to invest your time and some of your money looking for the best shoe possible. It’s worth the effort, for the short and long term. Well, it’s actually quite simple. The primary functions of shoes are to protect your feet from the high impact stresses of running, while, at the same time, help you achieve and maintain top speed, all of which is crucial for reaching your potential as a runner. Some of the ailments you can sidestep by picking the right shoes include (and not limited to): Plantar Fasciitis, Runners Knee, Knee pain, ankle sprains, the onset of arthritis, and a host of other problems that may arise from running in the wrong pair. That’s, in a nutshell, why, folks, you need a proper pair of good running shoes. So, without further ado, here is the step-by-step system for picking the right shoe, in line with your fitness level, body type, training goals and personal preferences. When it comes to selecting the ideal running shoes, comfort is the ultimate measuring stick, period. Of course, comfort is such a subjective thing. Thus, it’s not the easiest thing in the world to measure. Not only that, defining the exact parameters of shoe comfort is easier said than done, but if you are tuned enough into how your body feels, you’ll be able to tell right away when a pair feels the most comfortable. The ideal running pair should feel like a part of your foot, working in tandem with your specific biomechanical and biological/anatomical needs. The thing is, a running shoe should feel comfortable right away. If it’s not, then try another pair of different size, model, or brand. Also, you should expect immediate comfort upon trying on a new shoe. In other words, stop believing in breaking in. How does the pair feel on initial contact? How well does it transition? Do you feel any rubbing/abrasion inside of the shoe or at the back of the heel? Do not go shopping for running shoes in the morning. If possible, do it later in the evening. Well, for most people, feet size tends to fluctuate throughout the day. Yes, that sounds all weird, but it’s not actually that complicated. The feet tend to slightly swell during the day from walking and sitting. In fact, the feet start swelling in the later morning and don’t stop until roughly 5 to 6 p.m. And no matter how minor it might be, can have an enormous impact on how the shoes fit. Also, be sure to try on both feet. Most people have two feet that are slightly different in shape and size. In most running specialty stores, you can find well-trained experts who are familiar with the needs of runners. Hence, they can help you find the right sole-mate for your foot type, gait, fitness level, training goals and excepted mileage. First, plan on spending some time there. At least a half an hour before you make any decision. For most people, the fitting process can take at least a have an hour, or even, longer. Not only that, the staff should also provide you with more than a few of options to try out and test out. Nonetheless, it’s worthwhile, especially if you have a bad history of injuries and suspect that shoes might be to blame. Yes, that’s the cardinal rule. The shoes have to fit, or you walk, empty handed. The best way to ensure a good fit is to opt for a pair that’s a half-size larger than you typically would when buying casual footwear. As a rule of thumb, make sure to have at least a thumbnail’s width distance from the tip of the big toe—usually the longest toe—to the end of the shoe. In other words, you have to be able to play the piano with your toes. For most people, the feet tend to swell while running. That’s why a shoe that seemed like the ideal fit in the shop may, most likely, feel too tight during a run. Otherwise, if the shoe is too tight, then you might end up with black toenails, blisters, foot pain and all sort of other trouble. Another you can do to ensure proper fit is to take a few pairs for a spin. The good news is that the majority of good specialty running stores—well, at least, according to my experience—have an in-house treadmill on which you can test out a candidate pair. If this option is not available, then ask the salesperson/manager if it’s all possible to take a lap around the store, or the block. That’s the ultimate gauging stick when it comes to determining if a shoe works for you. Furthermore, I highly recommend that you try on at least five to seventh pairs from different brands and models and ranging in price from $75 to $110. Don’t get fixated with just one brand—loyal consumers can be, sometimes, dumb consumers. The only exception to this is that if you already have a brand that has worked well for you in the past and you believe it’s the best choice for you for the time being. Also, be sure to put on the same type of socks you’ll be using while running, then jog around. See, and feel, how they fit. For the most part, top-shelf running shoes can cost you up from $120 to $200. These, of course, can provide you with excellent cushioning and stability properties. Not only that, these top-shelf shoes tend to be more durable, thanks to the premium materials that last longer. But this does not mean that they are the best choice, especially if you are on a tight budget, or not yet ready to spend big on a running pair. The fact is, a good shoe can cost you anything in the range of $70 to $90. So, please, there is no need to break your bank balance on a running pair. My best advice is to go for last year’s version of a mid or top-range shoe. The differences won’t be that important, but you’ll, at least, get a top-shelf pair for a fraction of the price, which is a good deal if you ask me. Another thing you can do to get a cheap pair is to check ShoeKicker.com. This website crawls through the internet and analyzes prices on more than 10000 running shoe models based on brand, model, and size, all of which can help you find the best online deals. This is especially the case if you already know what you are looking for and what works the best for you. All you need to do is type your own preferences, size and the name (or brand) of the shoe you’re looking for, and voila!! Keep in mind that your shoes are a performance equipment. Their primary functions is to help you prevent injury and improve performance. They are not, however, a fashion statement. So, do not buy shoes for looks, or for fashion. Buy them for performance instead. The golden rule is, buy on comfort, fit, and functionality, whether a shoe looks a certain way, or looks right for you. Warning: Arch type and running gait can be a part of the shoe fitting process, but they are not the ultimate measuring stick. To the best of my knowledge, there is no scientific evidence to support these methods, but it’s something that has worked well for me, and most experts swear by. In fact, Arch type and running gait are the methods that most footwear brand web pages and running specialty stores use to determine an ideal running shoe. Therefore, if you feel like you’re being pushed into a buying a certain shoe to control your pronation, or whatever, then think twice. I hate to sound like a broken, but once again, let comfort be the foundation of your choice. The first step you need to make toward making the right shoe selection is to determine your arch type. If you have ever had your foot type analyzed at a running specialty sports shop or by a health professional, then you must be quite familiar with foot types as well as the diagram below. If you don’t know what I’m talking about, then rest assured. Just keep on reading to see what foot arch is all about. So, what is foot arch? In essence, when you hear people talking about foot arch, they are mainly referring to the height of the medial arch, which tends to differ from one person to the next. See picture. (1) You can have a podiatrist assess your foot type. (2) You can check the wear patterns on the soles of a pair of worn-in shoes. (3) Or, you can perform the “Wet Test.” Highly recommended. The “Wet Test” is not the most accurate arch type test there is as it does not accurately tell nor measure how high of an arch you have. But it’s a good start, and a convenient, free, way to figure out your arch type. To perform this test, all you need is a bowl of water and a brown paper bag or newspaper. First of all, dip your foot in the bowl of water for a few seconds, then stand on the paper bag to show an imprint. Next, take a look at the imprint that your foot left on the brown paper bag and compare it to the images below. There are three main foot types based on the height of the medial arch. Here there are, along with the corresponding recommended running shoes. Roughly 20 percent of the populace fall into this category. As you can see from the image, these have very low or non-visible arches. In fact, flat feet imprints appear much like the entire sole of the foot. If you are flat footed, then your feet will tend to collapse inward during a running gait. Hence, you are most likely to overpronate. According to the current running theory, having flat feet might present some serious trouble for us runners, increasing the risks of foot problems, such as heel pain, arch pain, and plantar fasciitis. Therefore, runners with flat feet might need a shoe with lots of support. Motion-control shoes and stability shoes. If your foot leaves an imprint that’s like the one in the image, then you have moderate to average arch size. Approximately 60 percent of the general population fall into this category. The medium arch is the ideal type as it is flexible and can help you absorb a lot of impacts while running or when doing any other high-impact exercise. For the most part, runners with a medium arch tend to be neutral, or may overpronate on some occasions. Also, having a medium height arch that naturally supports body weight is a sign of biomechanical efficiency, but it does not necessarily mean that they are injury-proof. The fact is, runners, from all training backgrounds and physiology types, are susceptible to common injury. If you fall into this category, then you have a broad range of shoe options available, but I highly recommend that you go for stability shoes. You can also go for a minimalist shoe if minimalist running is something you want to try. This means that your heel and forefooted connect in a very narrow band. If your arch type belongs to this category, then your feet will tend to be more rigid and do not usually pronate enough to absorb the maximum amount of shock. Research has linked having a high arch with stress fractures and heel pain issues since this type of a foot tends to be less flexible, thus absorb a lot more shock during a foot strike. As a general guideline, runners with a high arch often, but not always, require shoes with extra cushioning. After figuring out what type of arch you have, gait type is the next thing you need to figure out in order to take one step closer to making the right shoe selection. So, what is running gait? In essence, running gait is a set of unique actions and reactions that a foot performs while in motion (whether it’s walking, running, etc.) in order to provide support, balance, and shock absorption for the body. The most important thing about running gait that you need to understand is pronation. Pronation is part and parcel of the natural movement of the human body. In essence, it’s the foot’s natural inward rolling for impact distribution, following the heel striking the ground during a running gait. Getting your head around your own pronation type is one major puzzle piece in helping you pick a comfortable running shoe. The best way to determine your running gait is to have your foot analyzed by a specialist using multi-angled cameras and a treadmill. While using these special tools, the specialist can assess your gait and measure how much your foot rolls in, or rolls out. If you don’t have the resources for the pro option, then here is how you can do it in the comfort of your own home. You can figure out your running gait is by checking the wear pattern on the side and the sole of a used pair of running shoes. First of all, place the used pair side by side on a table, toes pointing away from you, then look at them from eye-level behind the heel. Next, compare your results to the three categories below. For the most part, gait falls into three broad categories: neutral, overpronation and underpronation. Here is a short description of each style. This is the basic neutral pronation type. If you have a neutral gait, then you might be a biomechanically efficient runner. With this one, your ankle, knees, and hips are all in alignment, thus, be able to absorb impact, and reduce pressure on the joints and knees. That’s why runners with a neutral gait tend to encounter fewer injuries due to efficient shock absorption. During the neutral gait, the outside of the heel strikes the ground first, then the foot pronates to absorb the shock and support body weight. When a pair of used shoe do not show any inward or outward tilt and/or showing signs of wear down the middle of the sole, it usually indicates a neutral gait. Runners with medium arches, as you can already tell. I highly recommend a stability shoe or neutral shoe. As I have already stated, all runners pronate—to one degree or the other. Well, when the foot rolls in after striking the ground, it helps distribute the shock of impact, reducing the risks of overuse injury in the process. So, a little pronation is a good thing. But when it’s excessive it can lead to all sorts of problems. That’s what’s known as overpronation, which is an exaggerated form of the foot’s natural inward roll. During the overpronation gait, the foot lands on the outside of the heel, then pronates excessively inward, transferring the shock of the impact to the inner edge of the foot instead of the ball. As a result, and according to the current theory, if you tend to overpronate, then you are risking knee pain and injury. If the shoes have a slight or a substantial inward tilt along with signs of wear on the inside by the big toe, then you might have an overpronation running gait. This gait type is mostly common among flat-footed and/or low arch runners. The type of shoe you need depends on the degree to which you over pronate. If you are a mild over-pronator, then stability shoes might be the exact thing you need. But if you are a severe over-pronator, then motion controls might be the best course of action. Furthermore, if you need more support, you might need to wear orthotics. Also known as supination, if you underpronate, then this means that your foot rolls out during a running gait. During this gait, the outside edge of the heel strikes the ground at an increased angle, but does not roll inward during the gait cycle. This causes a massive transmission of shock through the lower limbs. This result in insufficient impact reduction upon landing, putting a lot of pressure on the leg. Some of the common injuries among underpronators include shin splints, ankle sprains and plantar fasciitis. If your shoes have a slight or a significant outward tilt along wear patterns on the outside edge of the sole, then chances you have an underpronation/supination running gait. Runners with high arches are more likely to be supinators. I highly recommend neutral shoes with adequate cushioning properties for increased shock absorption. As I have already stated, running shoes come in many different sizes, shapes, and levels of stability. Stability shoes feature a good dose of medial support and midsole cushioning and are perfect for runners who exhibit mild to moderate overpronation. If you tend to exhibit moderate to serious overpronation, then motion control shoes are the exact thing you need. These come in with extra built-in support and flatter outsoles—the exact mix you need to ward off excessive pronation and providing sufficient stability to the feet. If you are looking for minimum medial support and maximum midsole cushioning, then neutral running shoes are the best choice. Neutral running shoes provide a bit of medial (arch-side) support and midsole cushioning for extra shock absorption ability. In fact, some brands of the super-cushioned shoes can provide with as much as 50 percent more cushioning than standard shoes. For the most part, most barefoot running shoes have no cushion in the heel pad. They also come with a very thin layer of the shoe between the ground and the skin. 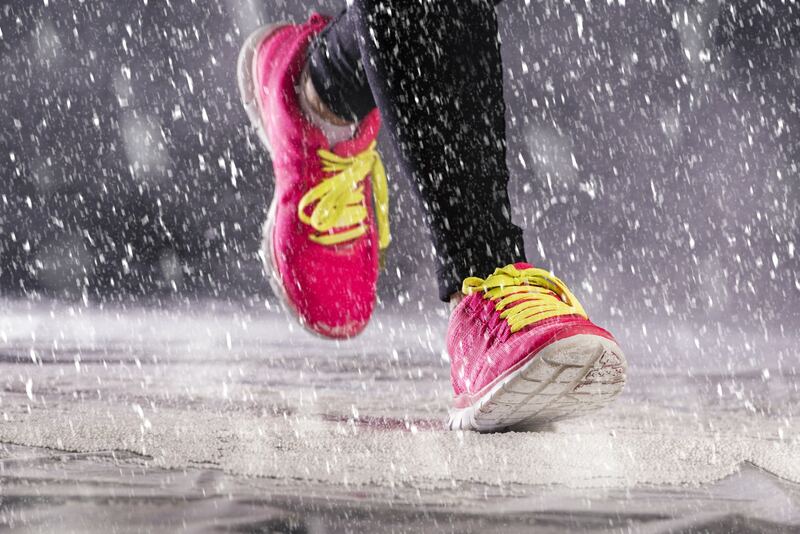 Just keep in mind that with this type of running shoes, you’ll be provided with the bare minimum when it comes to protection from the elements and potential risks on the ground. In my experience, another thing you need to consider—especially when it comes making your shoes last as long as possible while providing with maximum protection—is the type of terrain and/or surfaces you’ll be doing the bulk of your running on. As a rough guideline, here are the main running surfaces to consider along with the ideal type of a shoe for each terrain. If you are like the majority of recreational runners out there and tend to run on paved roads, indoor tracks and/or packed trails, then classic road shoes are all you need. Most classic road shoes have flexible outsoles, and are fortified to provide enough cushioning during repetitive strides on hard, even terrains—think paved surfaces. If you do a lot of trail runs, then you might consider investing in a trail running shoe. Trail shoes are designed for the beaten and off-road paths. These surfaces are usually peppered with mud, roots, rocks, gnarls and other (injury causing) obstacles. Most trails running shoes are fortified with a much denser rubber outsoles than the standard road shoe. They are also designed to provide better tread and superior grip, which can provide with better control on softer, often slippery or uneven terrains. If you are in the market for a sports shoe for the gym, or CrossFit workouts, then go for cross-training shoes. Most cross-trainers are designed to have more contact with the ground or floor. 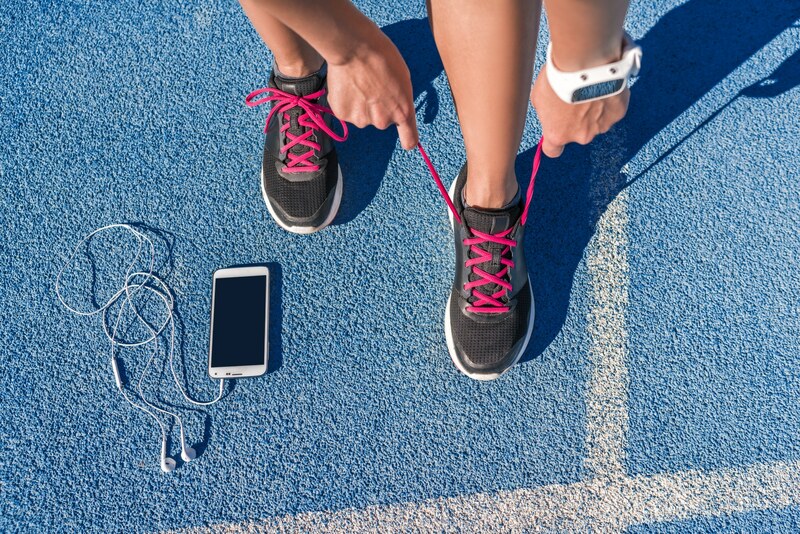 As a runner, you’ll be doing plenty of cross training workouts. For that, check my page here. It got all sorts of strength training, yoga workout and everything in between that you need to become a well-rounded runner. But please, do not run in these. I hope that you stuck so far. If you did, then congrats. Your Rock! In my opinion, my guide is all you need to identify and get the best running shoe for you. I might have missed a few things, but I’m pretty confident that I have covered the basics. And truth be told, I don’t wanna bore you with a long 10000 words technical article on the ins and outs of running shoes and the sort. Please, if you need more personalize help, then feel free to ask for at your local running specialty store. Or, send me an email. I might be able to send you in the right direction.